Atlantis Eyecare is dedicated to providing top tier eye care for residents of Torrance and the surrounding communities. Our optometrists and ophthalmologists are fully up to date on the latest proven techniques and specialized equipment. In addition to their high level of training, our eye care professionals are fully capable of delivering the entire spectrum of eye care procedures in one location. Patients can rest assured that their vision and eye health issues are in the hands of among the best eye care professionals available. Whether you need an annual eye exam or complex refractive lens exchange surgery, you will be in the care of a team of eye care professionals who have performed over 100,000 surgical eye procedures. The possibilities in the field of eye care and restorative vision care have grown exponentially over the past few decades. Removing cataracts is now routine, and new procedures have been developed to restore vision to a degree not possible a few short years ago. At Atlantis Eyecare you can expect to receive world class care based on the latest and safest procedures available. At Atlantis Eyecare Torrance, we deliver a wide array of surgical services such as LASIK and cataract removal, as well as the latest digital eye and vision examinations. Find out how we can help you achieve the best vision possible by either exploring our website or by scheduling a consultation with one of our professional eye care staff. Clouded and blurred vision caused by cataracts can be corrected with a relatively simple surgery done on an outpatient basis. Millions of people develop cataracts later in life beginning as early as the age of forty. If you suspect your vision may be improved through cataract treatment, schedule an eye examination to discover the cause of any vision impairment you have. More than 12 million people in America alone have eliminated the need for contact lenses and glasses through LASIK surgery. Perfected by thousands of doctors worldwide since the late 1990s, LASIK is safe, reliable and affordable. Our experts can answer any questions you have about LASIK in Torrance and how it can help you with your specific vision correction needs. Evaluating the retina is an important part of eye care to determine if any retinal detachment is occurring. Early detection can prevent blindness. Our specialists use multiple imaging technology to thoroughly examine your retina and are fully trained in the different treatment options should retinal detachment be detected. It is vital that everyone is screened for signs of glaucoma each year. Glaucoma is an undetectable eye disease affecting the optic nerve and is the primary cause of preventable blindness in America. At Atlantis Eyecare, our patients are routinely screened for Glaucoma during their annual eye exams and offered treatment options should glaucoma be detected. As we age, the need for vision care becomes obvious. 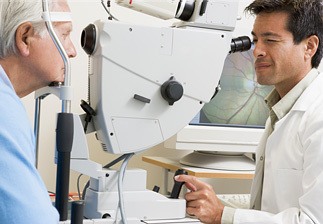 Eyesight changes should be monitored through regular eye exams. Vision correction options are now very plentiful and the experts at Atlantis Eyecare are completely current on the latest developments in the field. They can help you choose the right vision correction method for your needs. Dry eyes are caused when your eyes are not producing enough tears to keep them lubricated and free of irritants. Your eye's tears help protect you from infection and irritating particles. When these symptoms become commonplace or when your eyedrops are no longer providing relief, visit us here at Atlantis Eyecare and receive some of the best dry eye treatment Torrance has to offer.